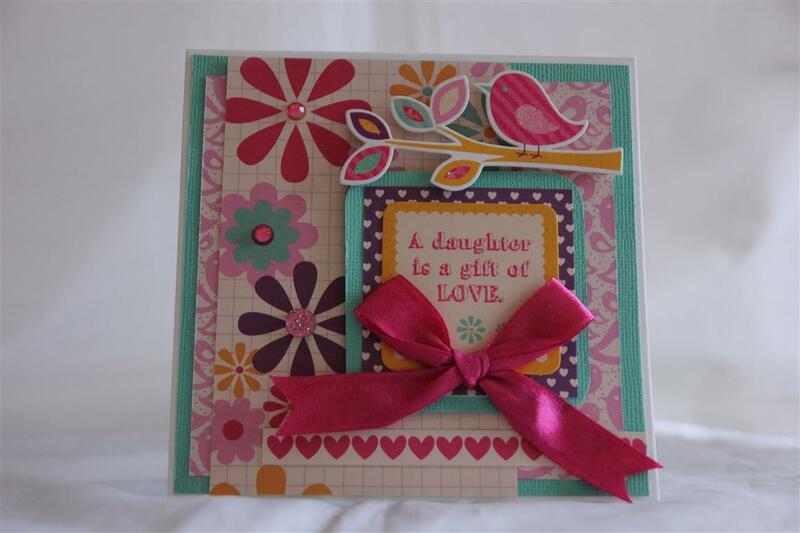 A couple more cards made with Kaisercraft Butterfly Kisses, and suitable for younger girls.The top card has a sentiment stamped on it using Stampin Up Curly cute stamps, and some little flags punched out with a tiny punch I found on special! (great way to use up tiny scraps). 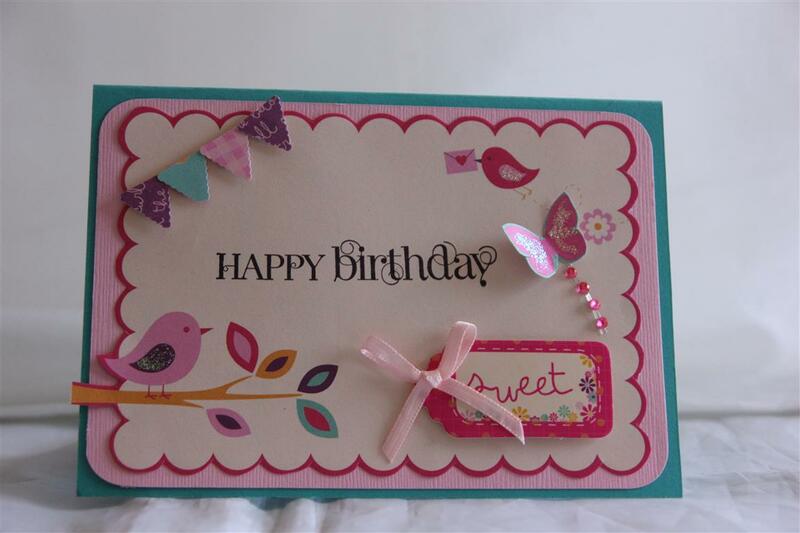 I made some bigger banners ( again more scraps) for the second card.All other embellishments were from the matching collectables. Til tomorrow…. Welcome to my new followers, hope you enjoy my creations and they inspire you just a little! 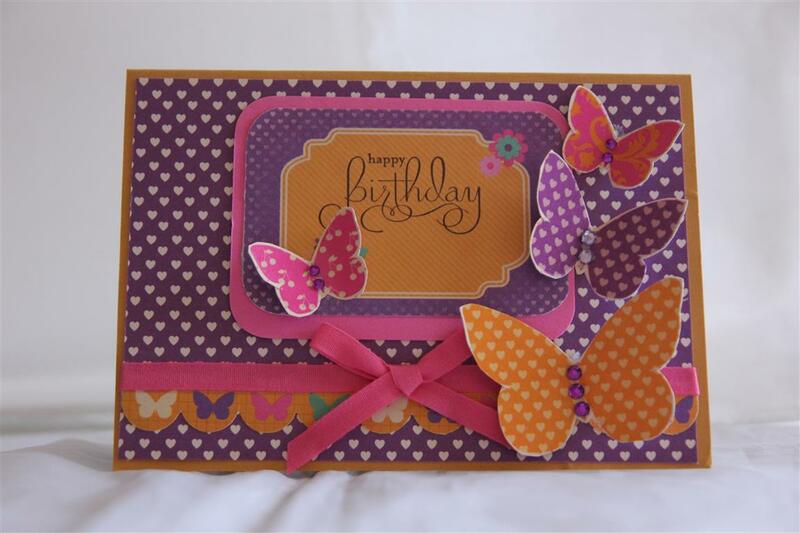 Some more kaisercraft butterfly Kisses cards to brighten our day!Again using the paper and chipboard pieces from the collection. 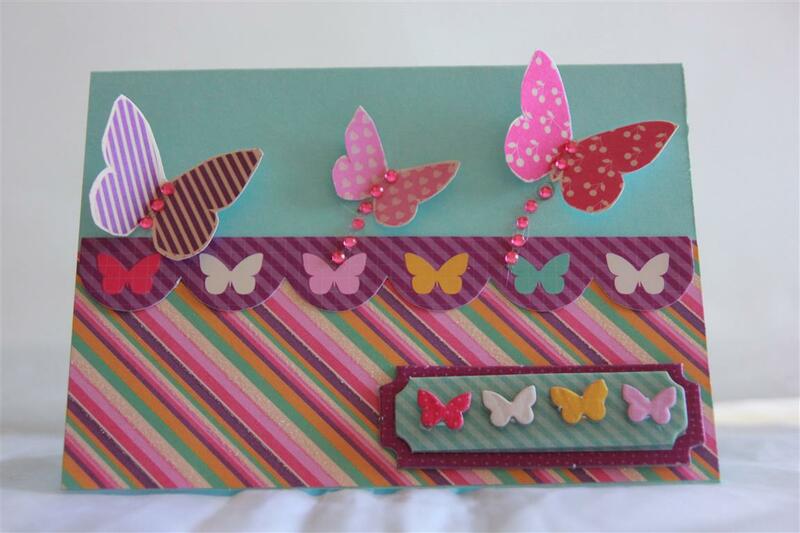 The butterflies were fussy cut from one of the papers, and I used some kaisercard for the matting. A lovely relaxing day off today, and I was enjoying some time in the craft room just playimng around with some techniques and new prima papers when the power went off.I like a lot of light when crafting, and have changed the light in the craft room to a strip flourescent light as that gives me the best natural seeming light, so when the power went out that was the end of the crafty session, but the power is back on now so I am off to finish what I have started! til tomorrow…. 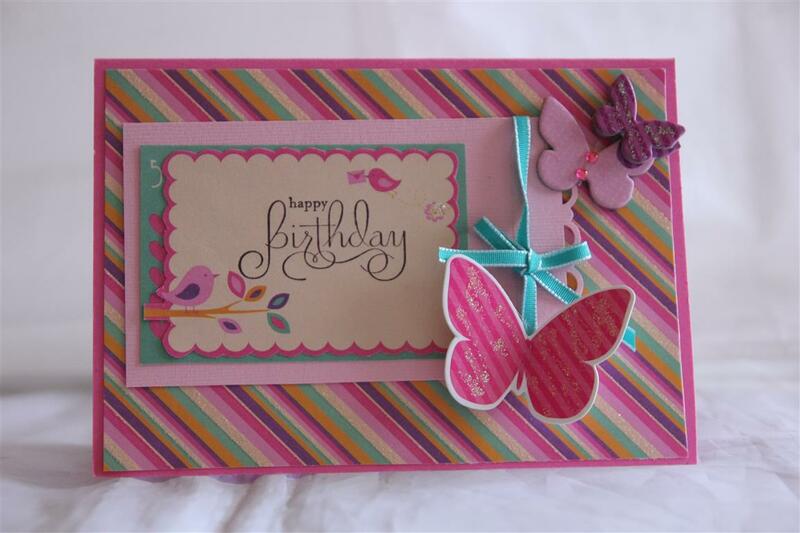 I went back though all my older paper to find something suitable for younger girls, and came across Kaisercraft Butterfly Kisses ( and matching chipboard pieces). 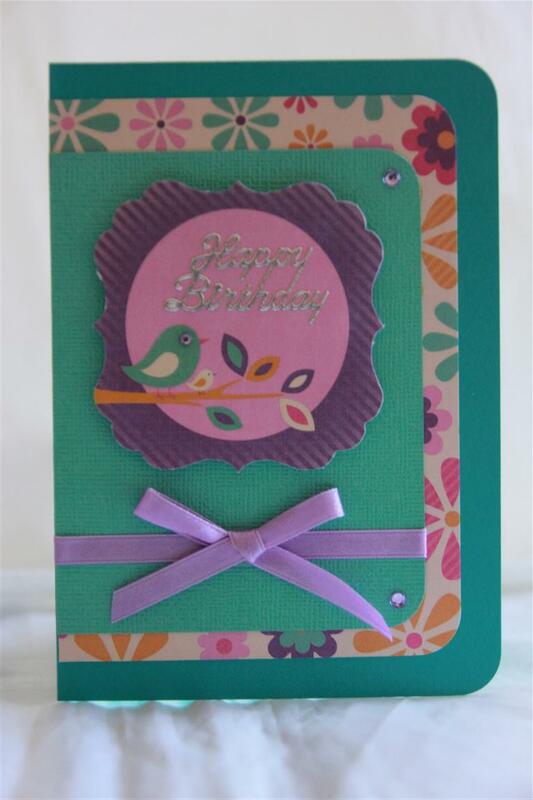 I have an amazing amount of this so i think I have picked up a special or two as well, so I sat down and created quite a few cards from it – here is the first. 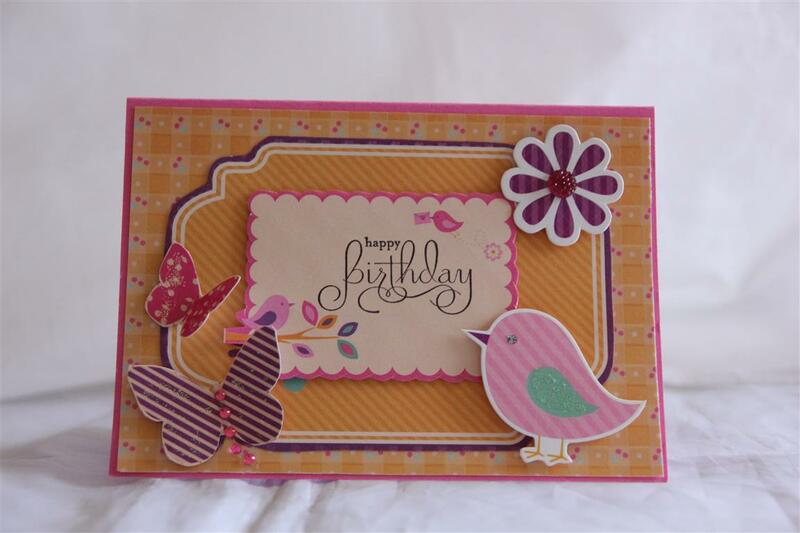 The plain cardstock which I used for matting is Kaisercard. I can’t remember the name – it had mint in it somewhere,and it perfectly matches the same colour in the paper.Anyway, can’t sit here chatting – I have to get to work …. til tomorrow…. 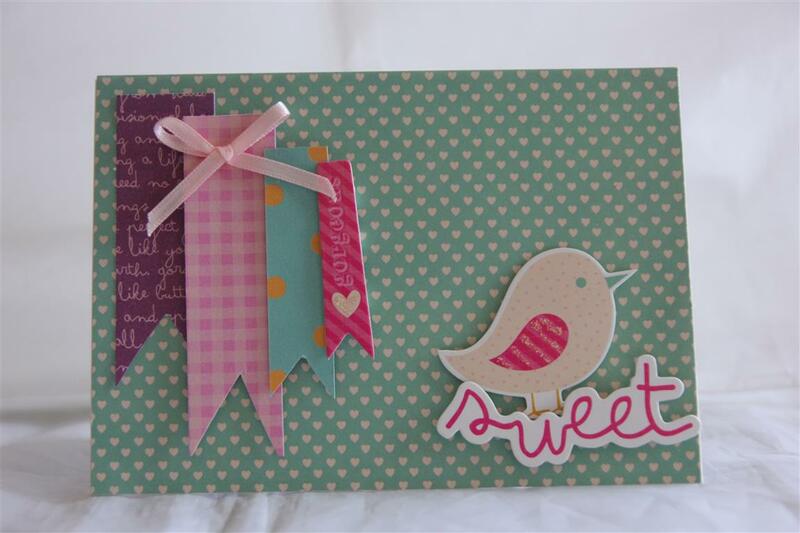 All I have used here is a small amount of patterned paper from the kaisercraft butterfly kisses paper pad, and one of the tags from the same pad.It is the layering on this card that adds interest and this is one of my favourite sketch ideas. 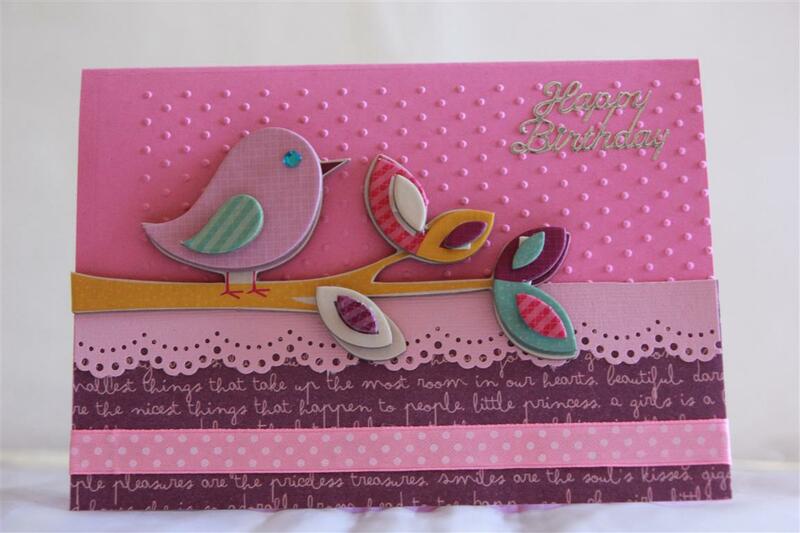 I rounded the corners on the right hand side of all the layers, and added ribbon and rhinestones to finish. 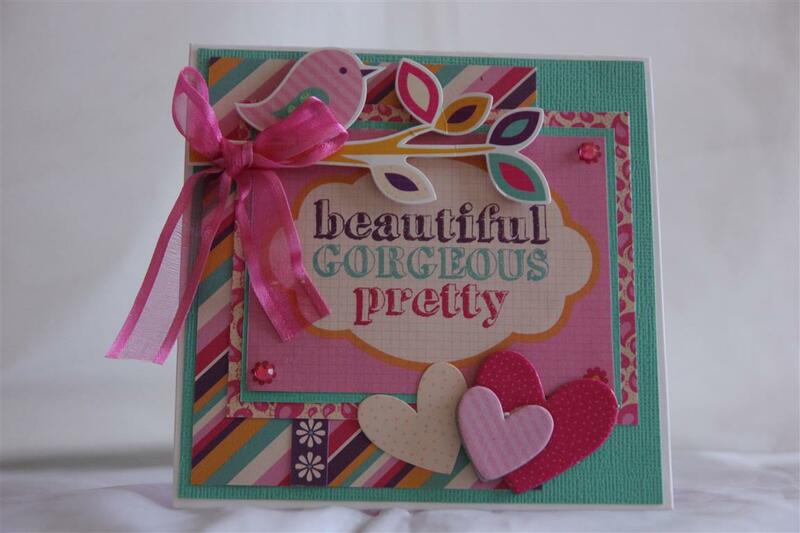 The card base is stampin up cardstock, and the other plain layer is Kaisercard.looking forward to 3 days off and some time spent in the card room this weekend setting up classes for February! til tomorrow…. Quite a late post tonight as it has been a very hot day today, and is only now starting to cool down just a little. The papers I used for this one are Kaisercraft Butterfly Kisses , and I used a piece of stampin up cardstock for the base ( bermuda bay )the butterflies were fussy cut from a 12 x 12 sheet – and I am sure those of you who have done my classes will remember the day we used this sheet on our cards – my name was was mud that day with all the fussy cutting we did!I used Kaisercraft rhinestone strips on the butterflies, and a chipboard piece down in the corner. Til tomorrow….